Cootie Coo Creations: Go mini-mad in March! Go mini-mad in March! 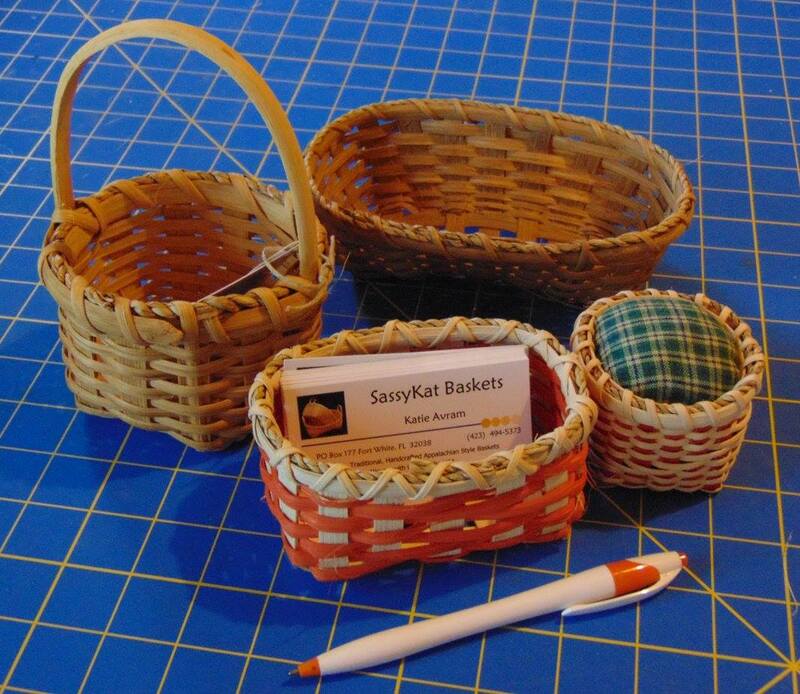 We will be making 'bitty' versions of traditional Appalachian baskets. Workshops will be held on Friday, March 11, and Saturday, March 12, from 10:30am - 4:00pm. 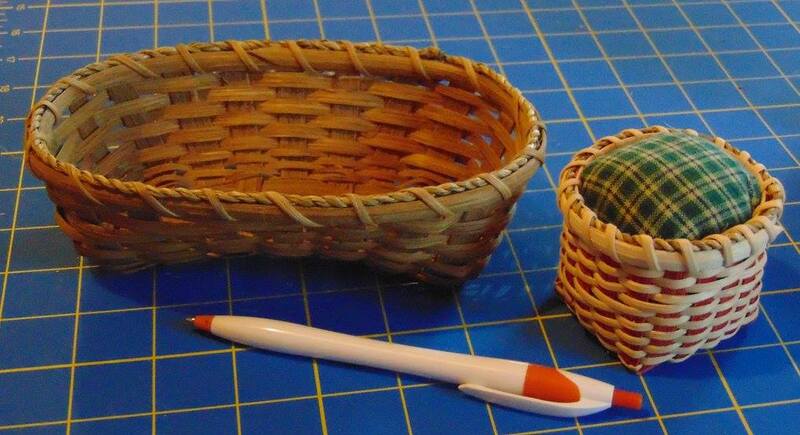 Friday, March 11, we will start out with a mini version of a laundry basket. Just big enough to hold business cards or sugar packets, this is a quick and easy basket. With choice of colors for the weaving, it carries a big punch for such a little basket. 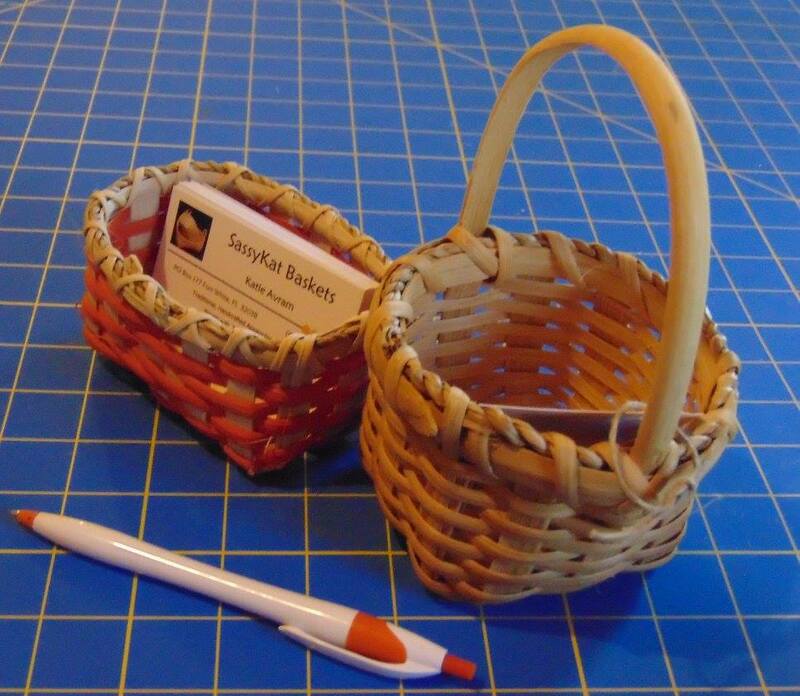 In the afternoon, we will make another mini; this time it is a traditional Appalachian Berry Basket. Just big enough to hold a couple of Plant City Strawberries or your watch and rings on a bedside overnight, this basket has all the details of the larger size. 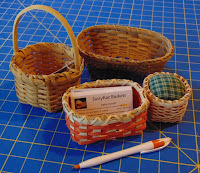 The cost of the Friday workshop is $40.00 for two baskets. 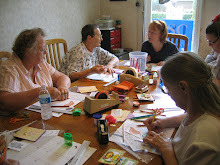 The class fee includes all the materials needed, instruction and use of the instructor's tools. Class starts at 10:30am and goes until everyone is done - about 3:30pm or 4:00pm. Boxed lunches are available for $10.00. Please let Sharon know if you wish to order a lunch. Saturday, March 12, the morning starts with an itty bitty version of a bushel basket. This time, the weavers are plain and the stakes have the optional color. Instructions will be given for adding the pin cushion if desired. The afternoon holds a little bit of a challenge - another mini version of a traditional basket! This time it isa a Shaker style, Cathead Spoon Basket. Named for its shape, this bitty version is actually about the right size to hold dessert spoons or even crochet hooks. This is the most challenging basket of the weekend, with shaping the base and rounded body, but results in a beautiful basket. The cost of Saturday's class is $45.00 for the two baskets. The class fee includes all the materials needed, instruction and use of the instructor's tools. Class starts at 10:30am and goes until everyone is done - about 3:30pm or 4:00pm. Boxed lunches are available for $10.00. Please let Sharon know if you wish to order a lunch. Save $5.00 on the total fee by signing up for BOTH days - only $80.00 for all FOUR March Mini Madness baskets.